For top-notch appliance repairs in the Madison area and beyond, you can rely on the appliance repair pros at Coach Z's Appliance Repair. Offering flat-rate pricing, excellent customer service, and lasting results on every repair, we're the team you can trust to provide you with superior appliance service time and time again! Are you having trouble keeping up with your day-to-day chores due to broken appliances? Whenever you’re experiencing appliance troubles, Coach Z’s Appliance Repair is the best place to turn for help. Offering affordable appliance repair to local homeowners, we’re the team of dedicated appliance service technicians you can depend on for lasting results. Whether you’re in need of dryer repair, refrigerator repair, oven repair, or other home appliance repair services, Coach Z’s Appliance Repair can meet your needs and provide you with effective solutions to all of your appliance troubles. Call today to schedule your appliance repair service appointment! Located in Sun Prairie, WI, Coach Z’s Appliance Repair supplies appliance repair services to residents in the surrounding areas. We’re proud to offer our refrigerator repair, oven repair, and other home appliance repairs to customers in Madison, Waterloo, Columbus, DeForest, Cottage Grove, McFarland, Oregon, Fitchburg, Waunakee, and the nearby communities. No matter how large or small your appliance problems are, you can rest assured that our team will be able to provide you with the best possible solution. We value your satisfaction above all else, and we’ll stop at nothing to ensure that our appliance repairs meet your standards. We include a 90-day parts and labor warranty on all appliance repair jobs, so you can have complete confidence when you hire us to deal with your malfunctioning appliances. 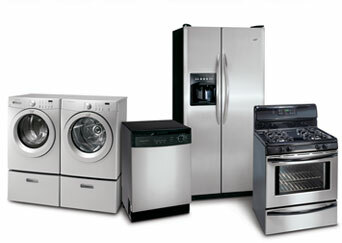 At Coach Z’s Appliance Repair, we believe strongly in providing our customers with affordable appliance repair. That’s why we’re the only appliance repair company in the area to offer flat-rate pricing. When you call on us for dryer repair, garbage disposal repair, or other appliance repair services, we won’t charge you an hourly rate. Instead, we’ll charge you an affordable flat price that will protect your household budget. You’ll get the same great appliance repair service, but you won’t have to worry about hidden fees adding up or paying more when the technician takes longer. The next time one of your home appliances breaks down, don’t hesitate to get our team on the job right away. We’ll get to the bottom of your appliance issues without charging you an arm and a leg! For your peace of mind and security, Coach Z’s Appliance Repair is fully insured. If you’re looking for an appliance service you can rely on to provide you with reliable results at some of the most competitive prices in the Madison area, we’re the company you can count on. We're available for regularly scheduled appliance repair services. Call or e-mail us right away to schedule your home appliance repair!